Cyber Alert in South Korea After Government Websites Hacked ! South Korea issued an alert against cyber attacks after websites run by government agencies, including the presidential office and the national intelligence agency came under assault. About 40 websites were targeted today at 10 a.m. local time in an attack known as “distributed denial of service,” or DDoS, and more incidents are likely around 6:30 p.m., according to Ahnlab Inc. (053800), South Korea’s largest maker of antivirus software. The government issued its third-highest alert against cyber assaults and boosted monitoring of major websites, the Korea Communications Commission said in a statement. 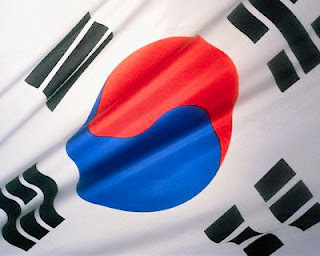 Today’s attacks are similar to attempts made in July 2009 to cripple dozens of websites in South Korea and the U.S. North Korea’s postal ministry was responsible for the attacks, Won Sei Hoon, head of South Korea’s National Intelligence Service, told lawmakers in October 2009. Under the DDoS tactic, malicious codes infect computers to trigger mass attacks against targeted websites, Ahnlab said in a statement on its website. Today’s targets included the presidential office, National Intelligence Service, foreign ministry, defense ministry, national assembly and the U.S. military in Seoul, according to the statement. Ahnlab said it is distributing free software to diagnose and remove the malicious codes.